The IPL season is in full swing right now, and keeping in mind the fan frenzy around the cricketing extravaganza, multiple companies like Snapchat, Jio, Hotstar, and BSNL have launched tailor-made offers for the IPL. And now Uber has jumped on the bandwagon with the IPL Edition Uber Trivia program which offers free Uber rides to users for showcasing their knowledge of IPL history in a quiz. 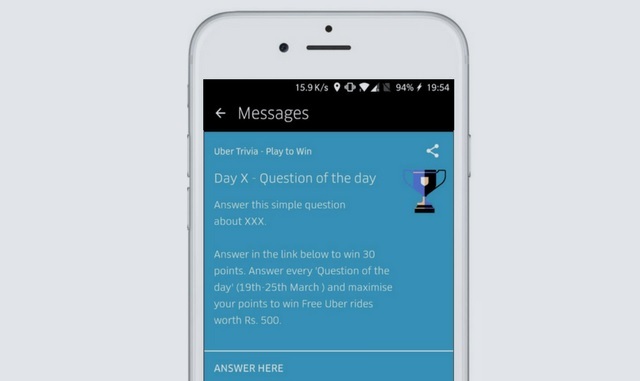 The Uber Trivia quiz will be live inside the Uber app, and answering the IPL related questions will give users a chance to win free rides worth Rs. 500. In order to win free ride vouchers worth Rs. 500, all one has to do is open the Uber app, scroll up to find a card titled ‘Day X-Question of the Day’ which has the daily IPL trivia question. Answering the question will let users win 10 points, while playing the quiz after booking a ride and answering correctly will award users 30 points. Users who take the quiz daily stand the chance to win the free ride. Uber will select the top 50 scorers and reward them with free Uber rides worth Rs. 500, however, the offer might be limited to certain regions only. Users who enter the IPL trivia quiz between April 9 and 15 on a daily basis and earn points stand the highest chance of scoring the free ride reward. Point structure is different for questions answered correctly i.e. when users are not in a trip, they’ll earn 10 points for each question, but booking a ride and answering a question correctly midway in the journey will earn them thrice the reward (30 points). 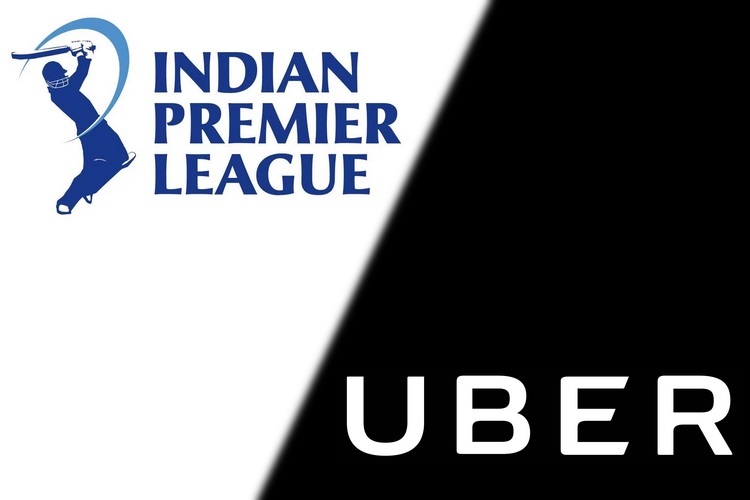 Aside from the IPL Trivia free ride offer, Uber has also launched a Ridesmart Rewards plan which allows users to avail discounts on rides and also earn assured cashbacks on movie and flight ticket bookings.